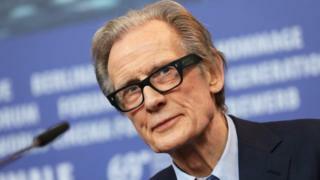 Stars including actor Bill Nighy, artist Maggi Hambling and broadcaster Bill Turnbull have signed a letter objecting to a proposed nuclear power station in Suffolk. They say the £14bn Sizewell C project will "lay waste" to swathes of the countryside. A total of 27 actors, writers and business leaders signed the letter, published in the Daily Telegraph. EDF Energy wants to build a new reactor beside Sizewell B on the Suffolk coast. Prominent figures including actor Diana Quick, novelist Esther Freud and Adnams brewery boss Andy Wood say the development threatens an Area of Outstanding Natural Beauty, its wildlife and burgeoning £210m tourism industry. The letter reads: "If the project can't be delivered by sea and by rail, without encroaching on Suffolk's Sites of Special Scientific Interest, the Minsmere Reserve and the heritage coast, and carving up farms and communities, it should not be delivered at all." It also highlights concerns about construction traffic, which could mean 1,500 lorry movements a day. The Sizewell C plant would be built north of the existing Sizewell B plant near Leiston. Earlier this month, two councils said they supported the plans in principle but raised concerns about the lack of detail provided by the energy company. In response to the letter, EDF Energy said it took its responsibility to the nearby communities and the environment "seriously", and urged people to take part in its consultation. A spokesman said: "Our aim is to maximise the huge benefits in jobs and skills for local people, especially the young, whilst minimising the environmental impact of the project."